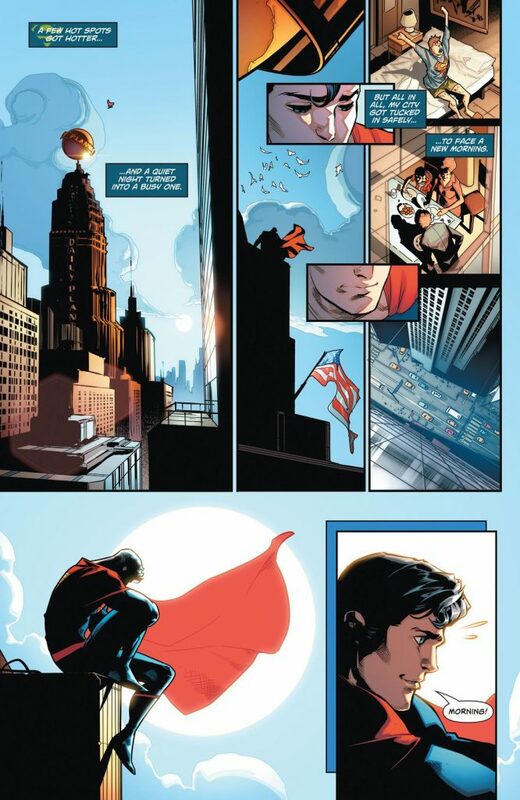 I love Superman. If I had to choose just one superhero to helm my pantheon of favorite superheroes, it would definitely be him. 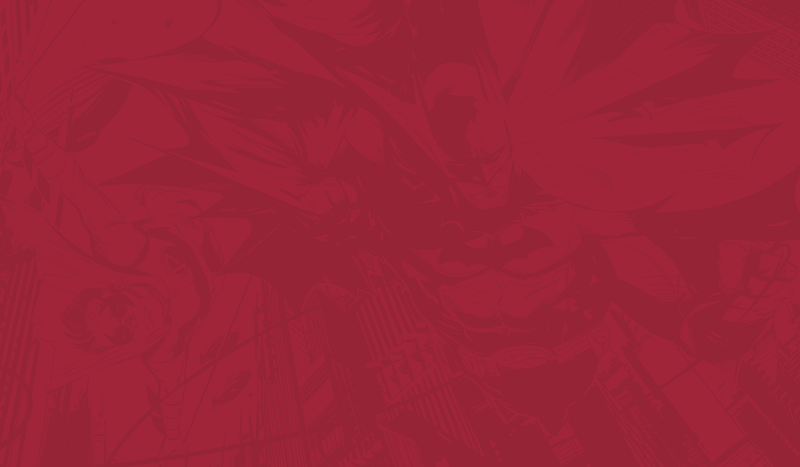 Unfortunately, outside of a couple of great arcs, the comics have been weak. Like, the kind of weak Superman gets when he mainlines kryptonite under a red sun. The N52 Superman was an attempt (I assume) to make the Big Blue Boyscout more edgy, and, for me anyways, it was really, really hard to read. Luckily, DC’s Rebirth initiative has been pretty fantastic. I picked up Superman on the off chance that it would do the Man of Steel justice. What do you think of when I say a comic is “wholesome”? Sunday newspapers? Charlie Brown and Garfield? 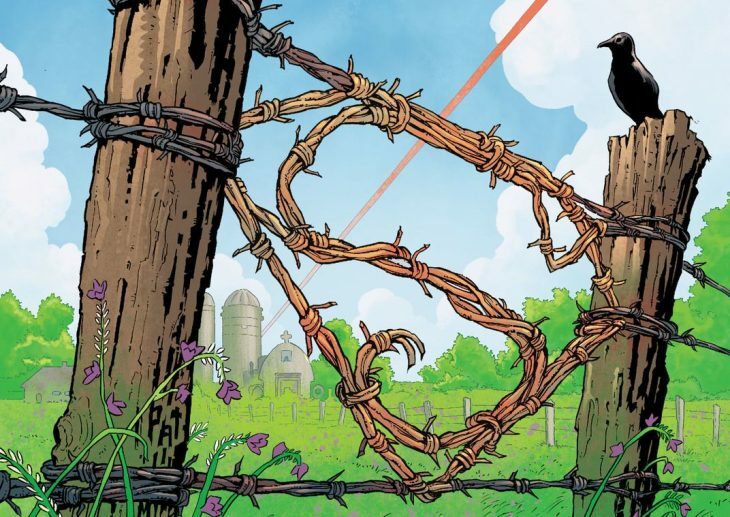 Wholesome might be a major selling point for a superhero comic, especially in the age we live in, but I can’t think of another word for this issue. And you know what? I loved it. As the summary above describes, this issue finds Superman realizing that his wife and son deserve some level of normalcy so he joins them on a trip to the county fair. The simple story is accompanied by some really strong art, especially the short action sequence at the very beginning. All told, this issue, while not for everybody, was a lighthearted Superman story that reminded me a lot of Superman for All Seasons, which is one of my all time favorite comics. 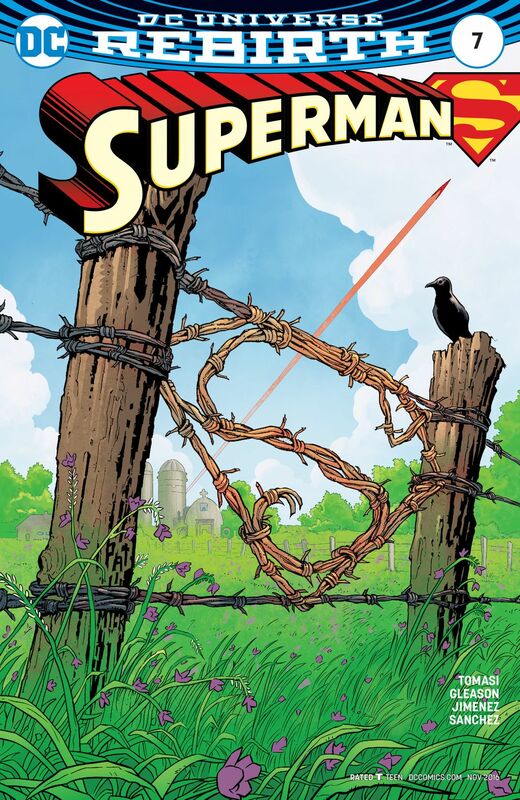 I think what appeals to me most about this series is that it really puts an emphasis on the hopefulness of Superman. 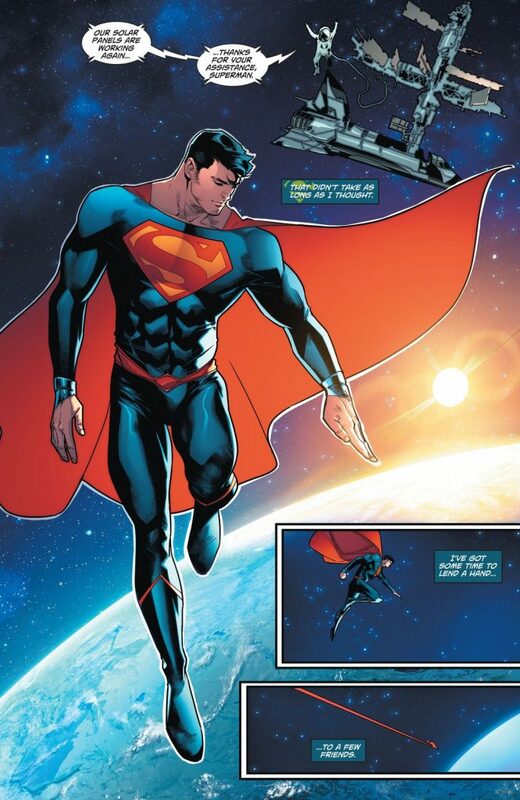 This book is about him trying to be as good of a father and husband as he can, while figuring out his place in this universe’s world (quick side note: the New52 edgy, t-shirt wearing Superman died at the end of the New52 run. This is the pre-Flashpoint Lois and Clark from a different universe. 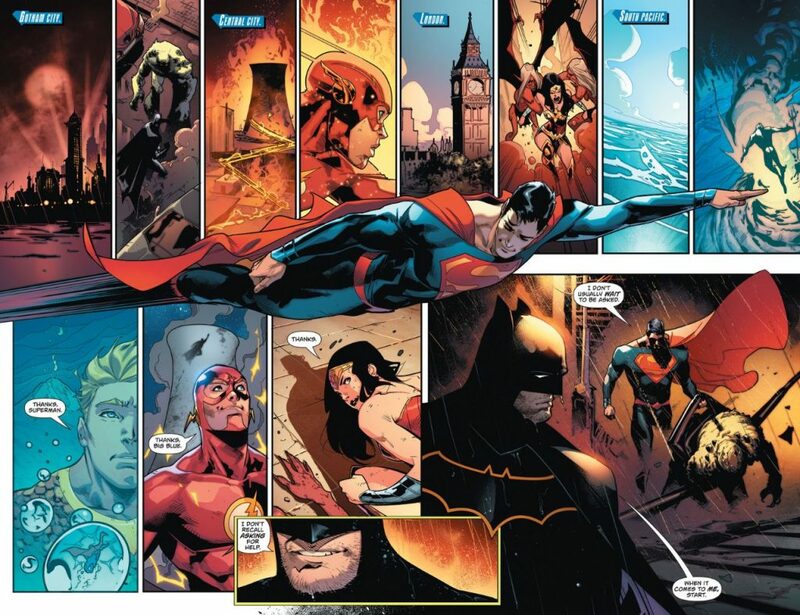 They ended up in the N52 Superman’s universe somehow during Convergence. Anyway, this is why they are laying low in a small town in California). The optimistic tone stands in stark contrast to a lot of the previous Superman series’ and it’s been a joy to read them. Parts 1-6 are great and are worth a read, so I won’t spoil them here, but 7, which serves as an epilogue, stands on its own. It’s the reader’s chance to breathe after the Eradicator tried to do what his name suggests (and his name sure as hell doesn’t suggest that he makes bagels for a living). It also serves as a fantastic jumping on point for new readers, since it doesn’t necessitate one go back and read the previous issues to fully grasp what’s happening (but I really liked those books, so I suggest you go back and read them as well). 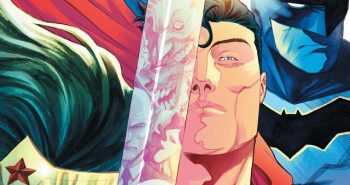 It really feels like Peter J. Tomasi and company have their collective finger on the pulse of what makes Superman such a great character, and I can’t wait to see what they have in store in the upcoming arc. One thing is for sure, Superman benefited greatly from DC’s Rebirth. 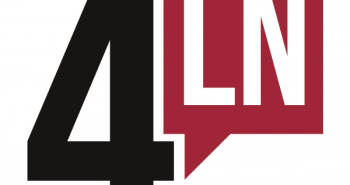 Previous post4LN Podcast, Episode 4: Do The Big 2 Just Not Cut It Anymore?